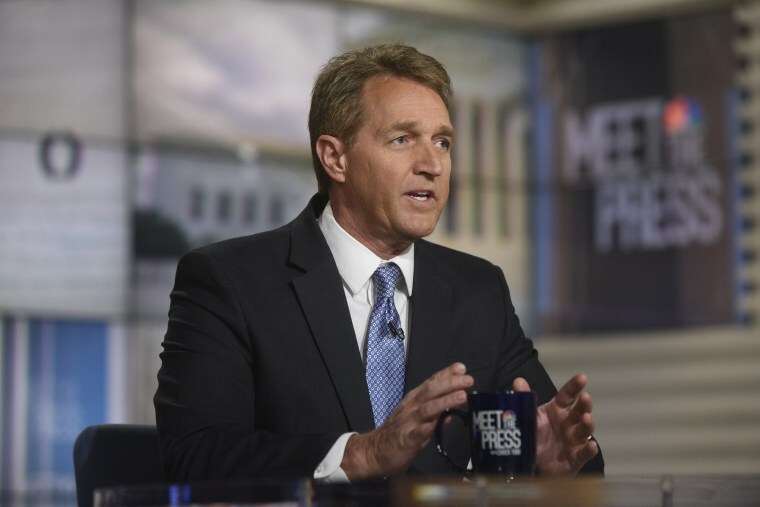 WASHINGTON — Republican Sen. Jeff Flake said Sunday that a GOP critic of President Donald Trump should challenge his 2020 re-election campaign. Flake has stirred his own 2020 speculation by announcing a trip to New Hampshire, the first primary of the presidential campaign, next week. The Arizona Republican last year announced he would not seek re-election in 2018, and acknowledged Sunday that someone with his views would have difficulty surviving a GOP primary. Flake is giving a number of speeches on the Senate floor during his final year in office to warn about the dangers of Trump’s presidency. Democratic Sen. Elizabeth Warren also further created her own 2020 buzz Sunday by declining to pledge to serve her full term in the Senate if she wins re-election in November. “No pledge, though, on the six years?” Todd pressed multiple times. “I am not running for president,” Warren said.